Remember that telling the age of a hermit crab is a highly subjective exercise. Hermit crabs that get good nutrition and plenty of exercise will grow faster and molt more often. Because of this, a young crab that has always had good care will present as being older than a crab that has been neglected. 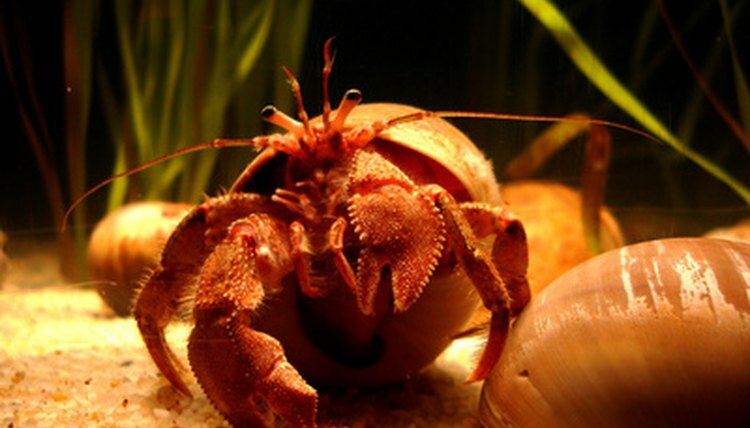 Some hermit crab owners note behavioral changes in older crabs. An older crab might be slower and less active than a crab that is younger. Hermit crabs are friendly crustaceans often sold in pet stores. They make great pets, but it is important to remember that they can live for many years. Hermit crabs can have a lifespan that can stretch to 20 and even 40 years, and if you are curious about the relative age of your hermit crab, there are a few hints to keep in mind. Look at the size of your hermit crab. For most crab keepers, a hermit crab that is about the size of a golf ball is going to be about 10 years old. One that is about the size of a mandarin orange is going to be greater than 10 years. Crabs that are much larger than this may be upward of 30 years old. Inspect the skin of your hermit crab. Younger hermit crabs that are less than 10 years old will tend to have soft skin that has a little bit of give to it. On the other hand, older crabs are going to have thicker, toughened skin, which may look a little like the rough skin of a lobster. Examine the antennae. The antennae of older crabs will be long and solid, especially as they get into their 20s. The antennae of younger crabs tend to be soft and rather feathery in feel. Be very careful as you touch the antennae of younger crabs as they will be somewhat delicate. Look at the teeth on your hermit crab's claws. These small knobs allow the hermit crab to grab on to things and to bring food to its mouth. The older a hermit crab is, the more teeth he will have on his claws. This can help you compare the ages of two hermit crabs. Crab Street Journal: How Old Is My Hermit Crab?